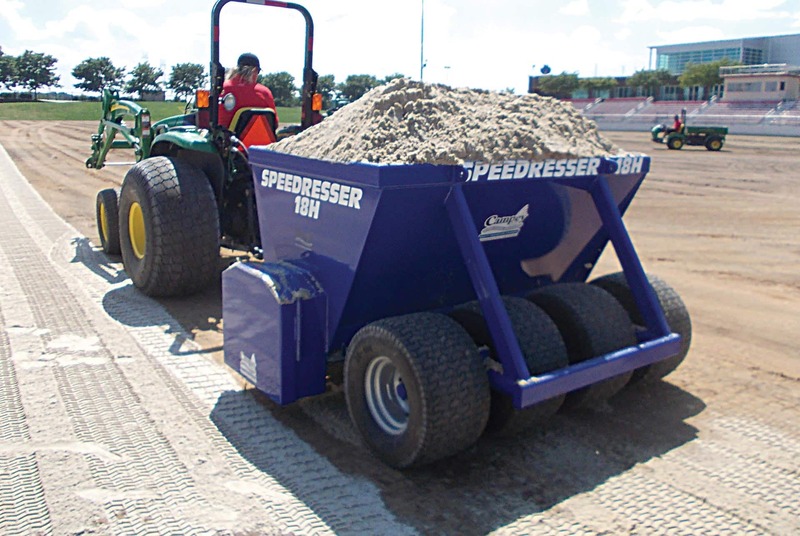 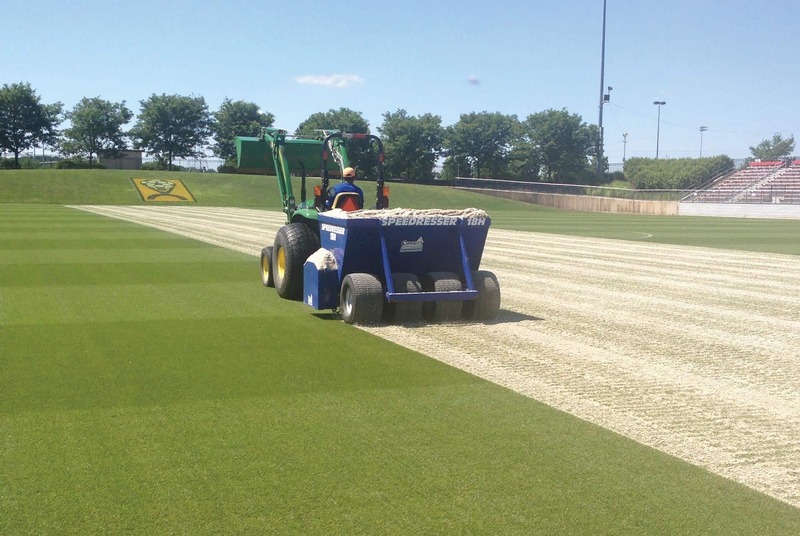 The RAYCAM™ SPEEDRESSER™ are bulk drop-spreader designed to handle all top dressing materials. 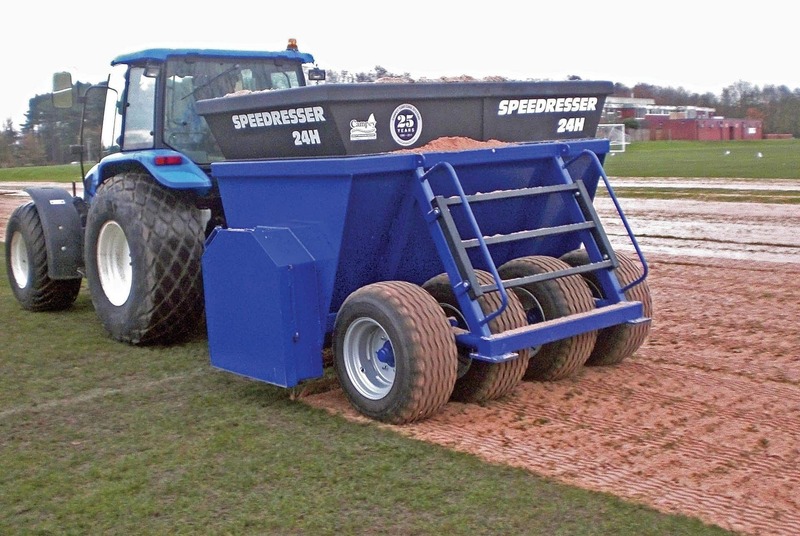 The 4 flotation tyres on pivoting axle minimise the risk of turf damage & compaction. 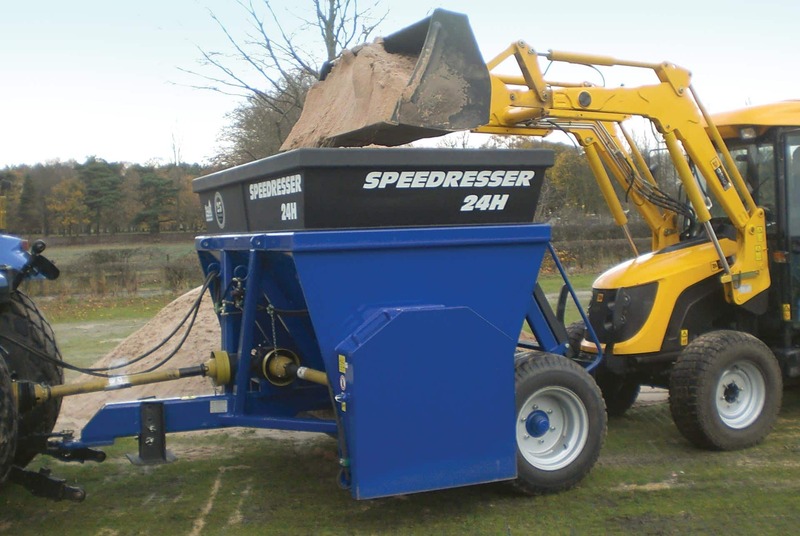 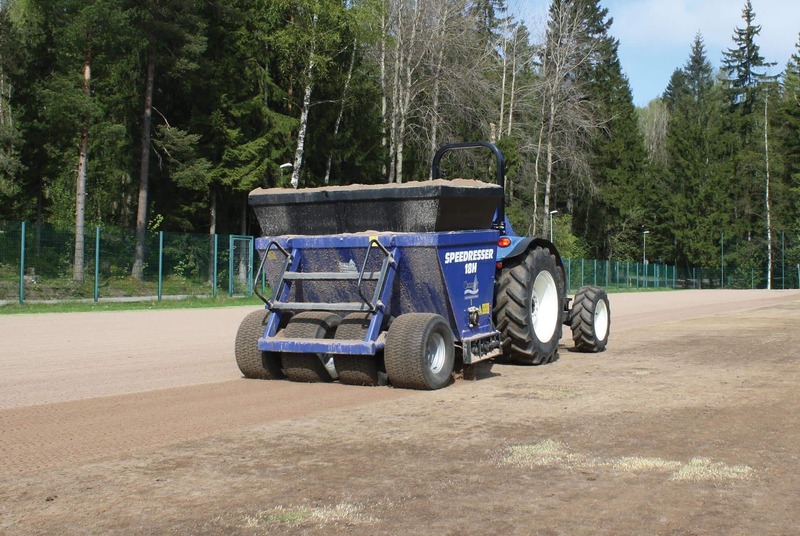 Ideal for golf courses & sports fields use, both with private clubs, local authorities and contractors. 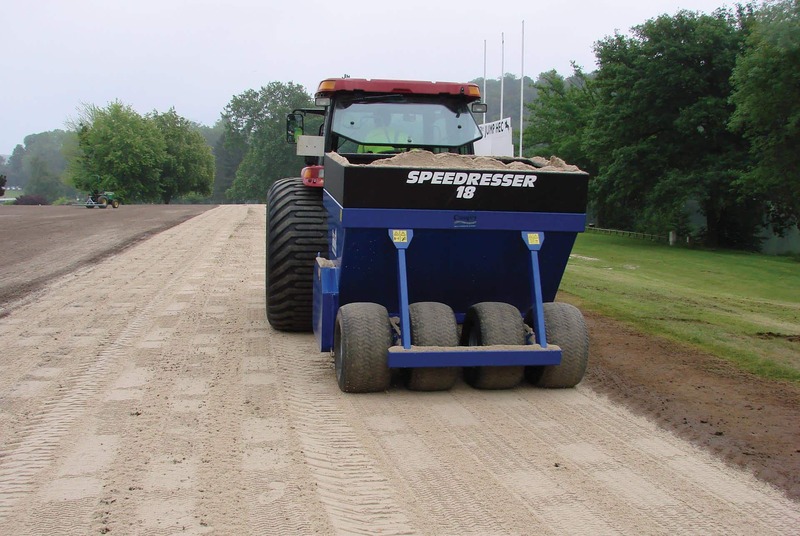 The SPEEDRESSER™ requires a tractor of at least 30hp, and is driven hydraulically from the tractor via an agitator and twin rollers. 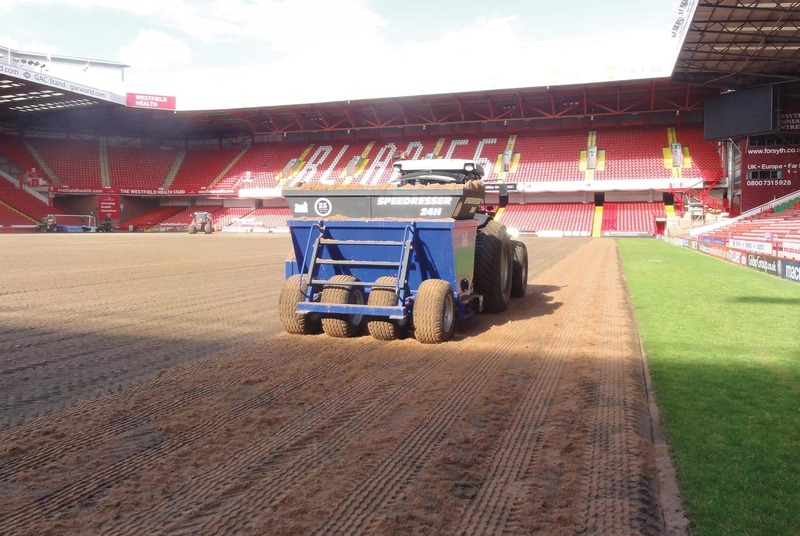 The high work rate enables the spreading of dressings up to depths of 2mm – 75mm in one pass.